New brewery set to make a sudsy splash. We've seen a lot of growth in the local craft-beer scene over the past few years. Breweries are opening left and right and Utah is beginning to look like a legitimate player in the national craft-beer movement. Last year alone, we witnessed four new breweries pop up along the Wasatch Front, and this year we will likely see another four—maybe five. 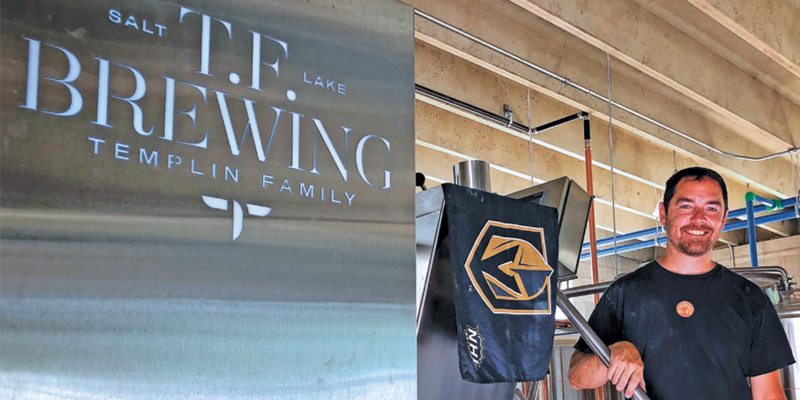 The next craft brewery to make its Utah debut likely will be Templin Family Brewery. If the name sounds familiar, it should. 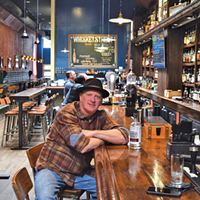 Owner/brewmaster Kevin Templin, pictured, has been a longtime veteran of the state's craft-beer scene, and recently helmed Red Rock Brewing Co. Templin's approach to beer has always been to keep it simple—no matter how complicated the recipe can be. It's that straightforward approach to brewing that led me and many others to believe Templin's time at Red Rock would culminate in a lifelong career. But he and his family had other plans. "I didn't want to be that guy that always thought, 'What if?'" Templin says right out the gate. "I mean, what's the worst thing that could happen? I could go broke, right? That's not that bad," he says. "If it all crashes, I'm sure I could find someone to give me a job washing kegs." Templin's Zen attitude doesn't just apply to his life philosophy, but also to his brewing. As we walked around the burgeoning brew space, I couldn't help but notice there was a lot of money being spent on the Tempilin Family dream. "It's expensive to do it right," Templin proclaims. But what exactly is "right?" "It's all about time, consistency, not trying to be macho, pretending to be the cool kid on the block," Templin muses. "Just make drinkable, consistent beer like people have been making for thousands of years. That's all I want to do." Who can argue with an attitude like that? A good disposition is one thing, but if you don't have beer and atmosphere to back it up, how are you going to get asses on those stools? "We've got 30 different recipes that are all new," Templin boasts. "I don't want to remake beers that I've made in the past; my customers deserve better than that." Part of Templin's recipes draw on his love of German beers. "My heart has been with German lagers for most of my brewing career," he says, perhaps acknowledging his own Germanic heritage. "Mostly, it's because I think those are the hardest beers in the world to make," he says. And he's right. Most brewers I talk to give the same response. The in-house selection, however, will look past Deutschland. "We'll always have the traditional ales—porters, stouts, pale ales, etc.," he says. "But we're also going to make what the people want. If you want a chocolate pale ale, let's discuss it." The brewery Templin designed is well thought out, with a dedicated bar for the all-important imbibing time, a state-of-the-art brewery with canning line and a barrelhouse for aging beers and hosting special events. So, when will it be ready? "When we're ready," Templin says. "The first time you try our beer is the most important time for me. If I miss the mark on your first visit, there's a chance that I may lose you forever, so the beer has got to be perfect." Once officially launched, the Templin Family Brewery will produce beers in a wide range of alcohol levels in draft and 16-ounce cans. Look for the opening in late autumn in Salt Lake City's exploding Granary District. Till then, as always, cheers!